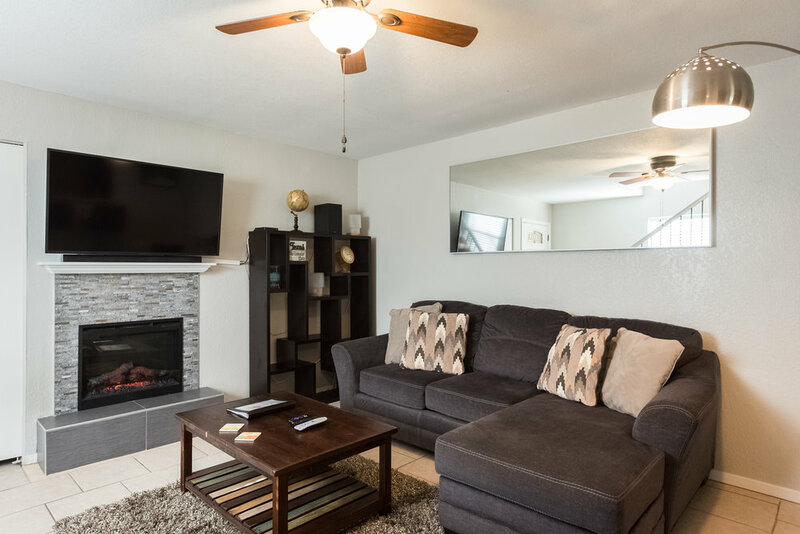 The Ravey Retreat are two newly updated units that feature two bedrooms and one and half bathrooms in each side, for a total of of 4 bedrooms and 2 full baths and 2 half baths. These are rented as two separate units, or can be combined for one larger property. Each side can sleep up to 4 people in beds. Each side has king beds in the master bedroom. 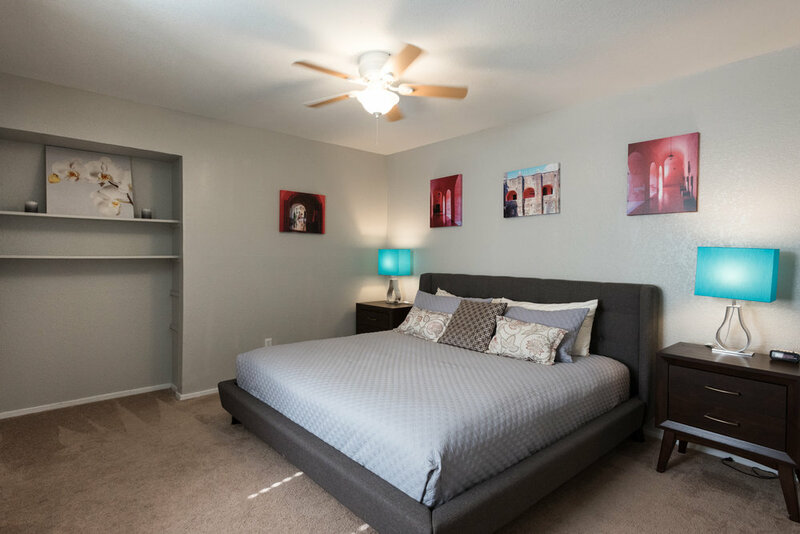 Unit A )pictures below) has two twin beds and Unit B has a queen bed in the second bedroom. The house itself is a two level townhouse style duplex. You walk in to the living room, and just past that is the kitchen, dining, and patio/back yard access. 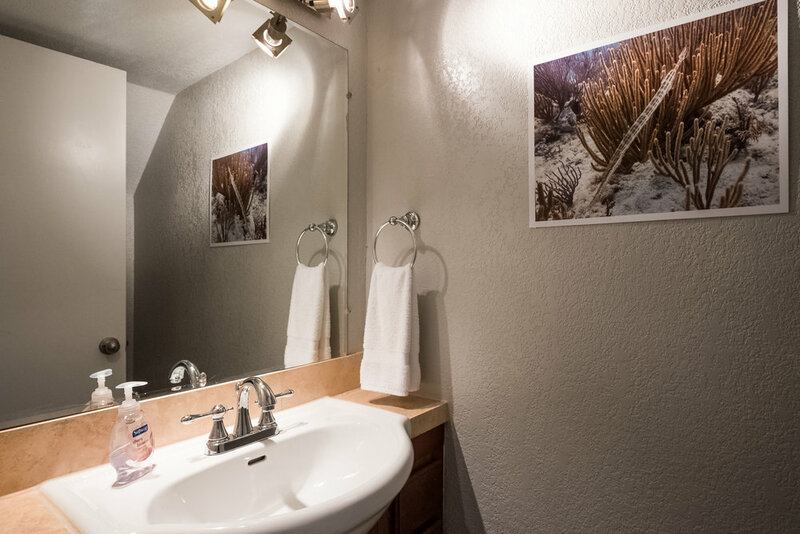 There is a half bath downstairs as well. Up the stairs you'll find both bedrooms and the full bath. We stock the house full of linens and towels, soaps, paper goods, and coffee/creamer/sugar. The kitchen is fully furnished with all the basics you'd need to cook just about anything you can think of: all utensils, basic oils, spices, and condiments. 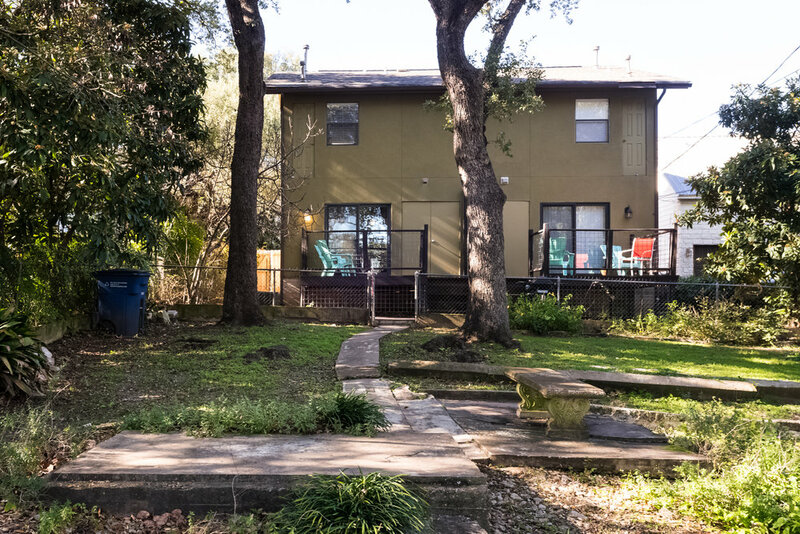 The location is absolutely perfect, tucked just off of S Lamar on a quiet culdesac with literally zero traffic. You're about 2 miles to downtown, a mile to Zilker Park, and within walking distance of one of Austin's best coffee shops (Patika) and plenty of great eats and drinks! -Sleeps up to 4 each side - PETS OK w $50 pet fee. -Google Fiber WIFI and TV!